How to get cheaper car insurance | Take my money! You're probably paying too much for your insurance, there are a few ways to lower your premium you pay without lowering the coverage and quality you get from your insurance company. Install an anti-theft device on your car. Most cars have one built in, but if you don't, you're paying extra. Depending on the terms, you might get a cheaper rate if you use a steering wheel lock. Install a "Usage Based Auto Insurance Device". This device is installed in your car and tracks your driving information and sends it to your insurance company so they can adjust your rates depending on how well you drive. Multiple car discount. If you own two cars, have them insured together, your rate won't be as high as it would be if you where insuring both cars separately. Make sure to ask for this discount when you are discussing your insurances with your agent. Get a long term policy. Getting the longer policy will freeze your rate for the length of the policy, versus taking a shorter policy which is subject to price changes more often. Keep track of your mileage. When your insurance company asks you how many miles you drive to work per day, make sure to give them an exact number (or in any case, not any higher), so they can place you in the right price bracket. If you're close to a mile bracket, this goes doubly. Group discount. If you're affiliated with an organization, you can probably get a discount from your insurance company. Call your insurance provider and ask them a list of organization affiliations. Check out the Storage Coverage. If you're planning on leaving your car stored, it is cheaper to just keep the comprehensive coverage, since you won't be getting in any kind of collision accident. Do direct payments instead of mail payments. You will usually get charged a fee for doing mail payments. Have your payments automatically deduced from your credit card. Of course all these tips might not apply to you, or your insurance company might not offer rebates for some of these points, but it's worth contacting them and seeing what you can do to lower your rates. 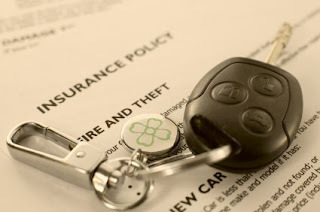 In most cases, there is always you can do to lower your auto insurance rates down to affordable auto insurance rates. If it still doesn't work out, call an other company and ask for an auto insurance quote that would meet your requirements. Insurance for me in the UK is impossible... Costs a fortune... germanys insurance system is 100x better!